Come see the Toyota RAV4 near Laconia, New Hampshire. We invite you to visit our Toyota dealership near Laconia and browse our new and used inventory of new Toyota RAV4 models in stock now. The Toyota RAV4 is available as either the RAV4 or RAV4 Hybrid model, it is packed with convenient technology and has excellent safety ratings. Toyota dealer specials and factory incentives are frequently available. 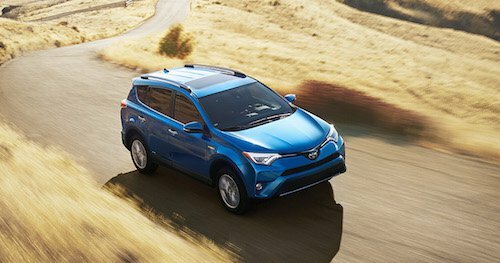 Our Toyota finance experts can help you find the best deals and save the most money on a new or used RAV4. We will explain all of your options for buying or leasing and can arrange affordable monthly payments. So why not stop by, meet our team of dealers and finance specialists, then test drive the Toyota RAV4 near Laconia, NH?